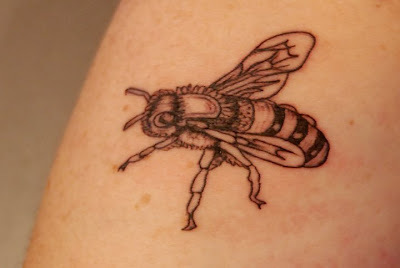 I finally got my bee tattoo last night. It hurt more than getting stung, but it was worth it. 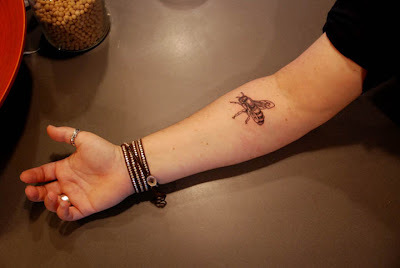 My commitment to the bees is complete!